Special Containment Procedures: Instances of SCP-3084 encountered in the field are to be seized, documented, and stored within the Site-28 Secure Archives. Full screenings of SCP-3084 are permitted only to individuals assigned to activities within Plane-3084. Per established risk management protocols, personnel cleared to enter Plane-3084 for research purposes are to spend no more than eight hours within this space during any seven day period, and no more than 25 hours in any 30 day period. Medical and psychological screenings will be administered to personnel assigned to this function on a weekly basis. Description: SCP-3084 is a silent film titled Seven Strangers at a Feast. The majority of the film appears to have been made at some point in the late 1920s, however, certain elements suggest that parts of the film may have been made earlier or later than this time period. SCP-3084 has a total runtime of 2 hours and 17 minutes. Apart from an initial title placard, SCP-3084 does not feature any title cards to indicate dialogue, nor any indication that a musical score of any kind was intended. No records of the film's purported director, Jacob Nkurunziza, have been verified to exist. In approximately 40% of documented cases, persons viewing SCP-3084 in its entirety become capable of accessing a trans-physical space (designated Plane-3084) upon completion of their first viewing of the film. Within 3-5 days after the initial viewing, these subjects develop an intuitive ability to enter a trance-like state at will, and appear to vanish from observation upon achieving this state. During this time, subjects are transported through unknown means to Plane-3084. Persons entering Plane-3084 in this manner are able to return to baseline reality at will, and reappear at the same location in space upon returning. Research indicates that at least six persons have entered Plane-3084 since its creation, including two Foundation personnel. Plane-3084 is believed to have been created through anomalous means at the same time as SCP-3084. Plane-3084 is a trans-physical space closely resembling locations depicted in Seven Strangers at a Feast. Geographical features, structures, and ambient weather conditions all appear to exactly match locations that appear in the film. It is not believed that SCP-3084 was filmed within Plane-3084; rather, Plane-3084 is understood to be a place generated concurrently with the act of filming SCP-3084. SCP-3084 was first documented among the effects of George Cecil Jones (PoI #3663), collected posthumously as part of the larger monitoring efforts of Operation LAWBREAKER in the 1960s, where its anomalous traits were observed upon processing of the numerous artifacts in the Jones estate. 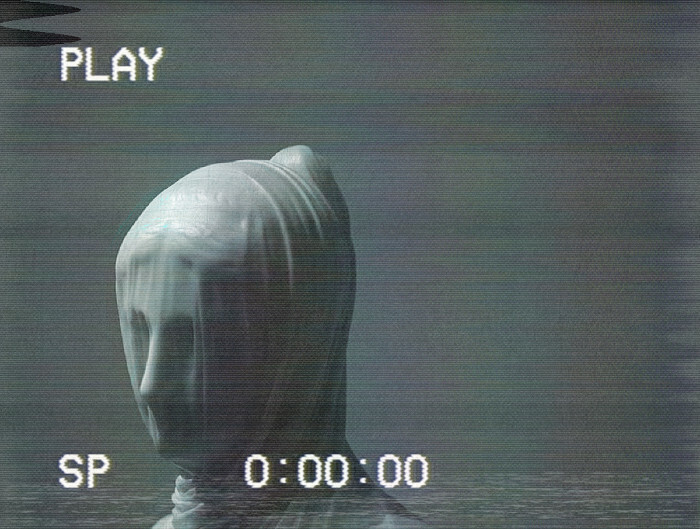 Jones and other figures targeted in the course of LAWBREAKER are not believed to be the intended recipients of SCP-3084 copies. At least thirty copies of SCP-3084 are known to have been distributed anonymously in the 1920s in London, Paris, Brussels, Rome, and several other European cities. Most have been recovered from individuals occupying high-profile positions in business, the military, or the aristocracy, who are believed to be the intended recipients of SCP-3084 at the time. 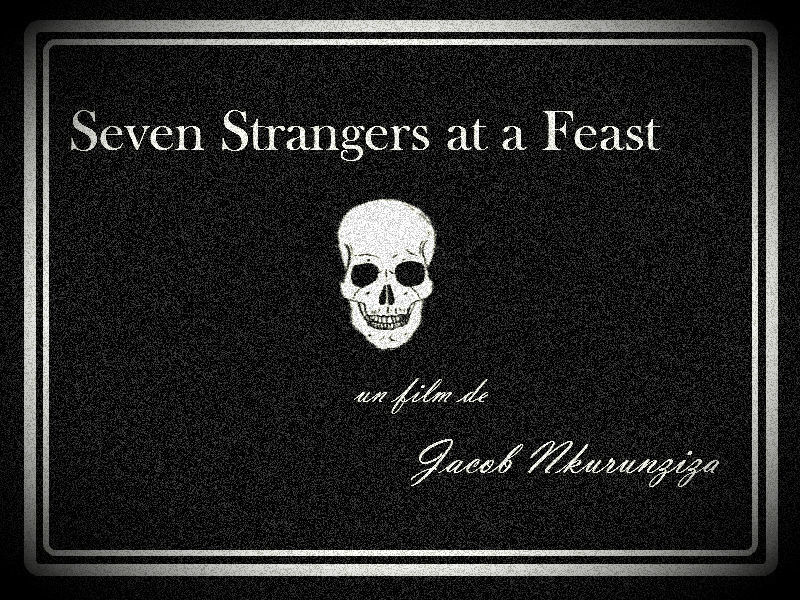 Seven Strangers at a Feast is an experimental film deviating in style and subject material from most efforts of the late silent film era. These differences include the extended running time, lack of an easily discernible story or plot, depictions of graphic violence utilizing special effects far in advance of those available at the time, and repeated use of abstract imagery. No actors in the film have yet been positively identified, indicating that SCP-3084 is an amateur production. Character names in the description below have been assigned by research staff, as no credits beyond the initial title card are present in SCP-3084. Scenes 1-8: These scenes take place in and around an isolated country house, and include several establishing shots. Five characters are introduced as they arrive at the country house, all depicted walking along a dirt road leading to the location; The Young Man, the Young Woman, the Aristocrat, the General, and the Boy. All of the characters gather at the front door of the country house. The Aristocrat and the General argue heatedly, apparently about whether to enter the house, or concerning a possible plan of action once inside the house. The Young Man, Young Woman, and Boy are silent throughout the exchange, with expressions of worry or fear throughout most scenes. Scenes 9-13: The Old Woman appears for the first time, aimlessly wandering in the interior of the country house. The scenes are dimly lit. 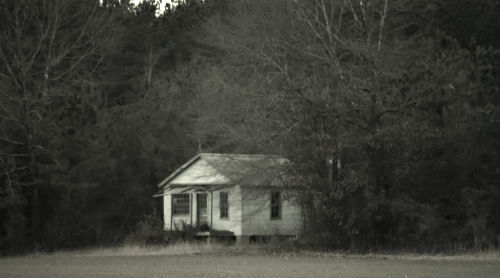 While her face is obscured throughout the film, the Old Woman can be interpreted to be muttering to herself by her hand and head movements, and occasionally yelling in the empty house. The Old Woman pauses occasionally to look with apparent apprehension at a chest next to the unlit hearth in the middle of the house. Scenes 14-27: The argument between the Aristocrat and the General suddenly stops. The two men stand silently at the door to the house, while the General beckons the Boy to join them. The Boy resists and attempts to hide behind the Young Man. The Young Man appears confused and attempts to prevent the Boy from coming near him. The Young Woman suddenly flees the scene and runs into the woods surrounding the house. Scenes 28-30: Inside the country house, the Old Woman shuffles closer to the front door, appearing to dance in an erratic fashion until reaching the door, at which point she appears to start shaking uncontrollably while stretching her arms skyward. Scenes 31-43: The Young Woman runs through the now darkened woods surrounding the country house. The film quality appears to deteriorate and change during this extended sequence. The lighting of the scene grows darker and darker as the Young Woman continues to flee, her apparent terror increasing steadily. 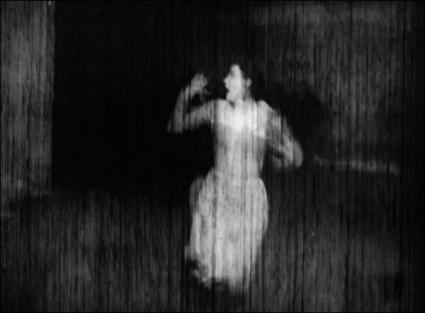 The woods are barely discernible by Scene 38, and the Young Woman begins to be beset by shapeless apparitions emerging from the darkness starting in Scene 41. By Scene 43, the Young Woman is almost entirely out of focus, only recognizable by frantic, exaggerated movements. Scenes 44-51: The Aristocrat kicks down the front door of the country house, finding the Old Woman standing in the doorway. He roughly takes hold of the Old Woman and marches her inside. The General draws his pistol and motions for the Boy to go inside the house. The Boy refuses until the General discharges a round into the air. The Boy reluctantly goes inside the house. The General apparently tells the Young Man to stand by a window looking into the house, and then goes inside himself. Scenes 52-59: This portion of the film is entirely focused on the Young Man, who stays in place, watching the action through the window the entire time. Multiple camera angles, apparently utilizing several varieties of film, some appearing to be of higher quality than should be available for the time, are utilized. The Young Man grows increasingly uncomfortable and disturbed by what he is witnessing (presumably the events depicted in Scene 60 of the film), but does not move from his spot by the window. Scene 60: The longest individual scene in the film. The Old Woman is forced down onto a long table in front of the hearth by the Aristocrat and the General. Her clothing, apart from the hood which continues to obscure her face, is torn away, and the two men methodically fix the Old Woman into place by driving long nails through her wrists and ankles into the table. The Boy is then made to sit and observe by the General. The Aristocrat and the General use long, thin knives to flay the Old Woman's legs, placing the skin on top of the chest next to the hearth. The skin appears to begin smoldering. The Aristocrat then opens a long incision in the Old Woman's torso. Together, the Aristocrat and the General remove several ribs, carefully cutting away tissue until the cleaned bones are placed on top of the chest as well. The bones float in place over the pile of skin, which is now apparently on fire. The General dips a vessel into the Old Woman's now-open abdominal cavity and pours several cupfuls of blood on top of the chest, causing the flames to grow substantially. The Boy, watching impassively to this point, gets up from his seat at the request of the Aristocrat. The Boy reaches into the incision in the Old Woman's torso and retrieves what appears to be a set of eyes. The eyes rise out of the Boy's palm and travel first over the Aristocrat, then the General, before descending into the pyre atop the chest. The fire stops, and the chest opens. 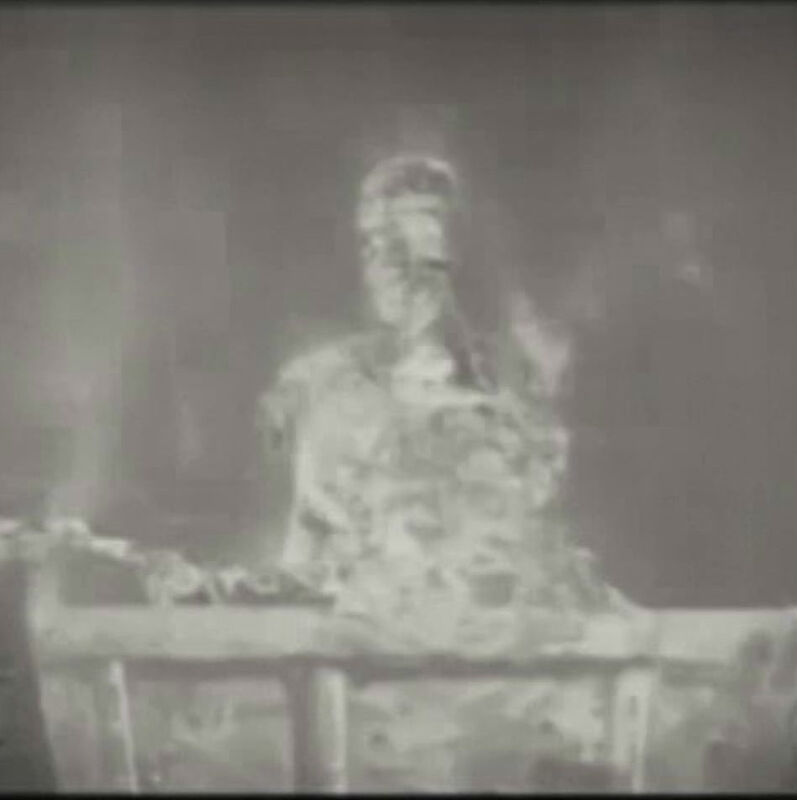 The Guest, a charred, skeletal figure, rises from inside the chest. The Boy, the Aristocrat, and the General arrange six chairs around the table upon which the Old Woman is still fastened, and apparently still alive. The Aristocrat beckons to the window from which the Young Man is still watching, motioning for him to come inside. The Guest assumes a position at the head of the table. Scenes 61-63: The Young Woman continues to run frantically in darkness, finally coming upon an isolated doorway deep into the woods. As the shapeless apparitions continue to pursue, the Young Woman opens the door and hurries inside, closing it behind her. Scenes 64-68: The Young Woman appears spontaneously inside the country house, as the chairs have been arranged around the table and the Old Woman. She makes no reaction as the Aristocrat, the General, and the Young Man drape the scraps of the Old Woman's clothes onto her, and the Boy seats her at the foot of the table, opposite the Guest. The rest of the characters take their seats around the table. The Guest begins clawing at the flesh of the Old Woman with his hands, taking portions from her limbs. The flesh appears to cook while in the Guest's hands. The Guest hands portions of flesh to each character in turn around the table, each of whom devours the offering quickly. This is repeated several times. Scenes 69-74: Scene 69 suddenly cuts to a clean skeleton affixed to the table, the characters still seated around the table, save the Guest, who is absent. The Aristocrat, the General, and the Young Man stand up and leave the house. The Boy removes the hood, still present on the skull of the Old Woman, and drapes it over the unresponsive Young Woman, still seated at the opposite end of the table. Scene 74 consists of a continuous shot of the now-obscured face of the Young Woman, lasting two minutes and nineteen seconds before the film abruptly ends. Initial documentation of SCP-3084 and subsequent exploration of Plane-3084 was undertaken in 1963 by Researcher Philip Dumont. The following are relevant field notes, containing observations and data collected by Dr. Dumont during his assignment to SCP-3084. - Area consists of observable terrain and traversable terrain. Observable terrain the same as that depicted in the film, which must have been shot on location. Traversable terrain is the area around the house, the house itself, and a small corridor leading into the surrounding forest. Attempts to cross into non-traversable terrain are met with a simple inability to proceed further. No feeling of a barrier, no visible indicators. You just can't go there. - Original location confirmed to be Rusizi National Park in the Kingdom of Burundi. This place is a simulacrum. Ongoing political instability is stalling inquiries, but unusual that a largely white production team making a film here would not be remarked in any records at the time. No records of Jacob Nkurunziza came up in our background search, and local authorities seemed quite insistent that they know of no such person. - No persons or in fact any detectable living organisms present. Field microscopic examination of soil and water samples turn up same. - Time does not pass in the surrounding area; the sun stays low in the sky and the local time is always 1830 hours, give or take a few minutes. Time passes normally for myself and my pocket watch. The country house at the center of Plane-3084 does not decay, but instead maintains a certain shabby quality as originally depicted in the film. No amount of force seems to be sufficient to open the chest by the hearth; tools are being requisitioned for the next visit. Unsurprisingly, one cannot light a fire in the hearth. The testimony of Duke Mechelen, who is known to have visited this place sometime in the 30s, indicates that when the humanoids corresponding to the characters of the film dwelled here, they would mostly congregate in the house, when they weren't reenacting scenes. Two other individuals suspected to have been visitors indirectly confirm this observation in documents lifted from their private records, but only Mechelen described the routine of the characters in any detail. It is unfortunate that he only visited once; whether this experience is at all tied to his supposed nervous disposition in later years is impossible to say. Before these humanoids (I hesitate to call them fully human until we can find one and examine it) left this plane for parts unknown, they were known to spend hours at a stretch all assembled in the house, standing almost perfectly still, only their eyes moving to follow visitors. Unsurprising perhaps that Mechelen did not return for a second trip. As of this time, however, no persons are to be found here. All of the bones apparently belong to the same person. Not the first time we've encountered this situation, but never a welcome development. I've been feeling along the boundaries of the forest corridor for quite some time. On this examination, I have found a narrow pathway partway into the corridor that appears to correspond to Scenes 31-43. This is a unique portion of the film, in that it could have been filmed anywhere, and does not necessarily represent a fixed location in this plane. This could, theoretically, account for the whereabouts of the film's characters, who have not been present in this plane since at the very least 1954. Likely that I will be undertaking further explorations of this new side-corridor in fifty meter increments during my next scheduled visits. I haven't taken a sound recorder since the first few visits. I must remember to bring one next time. It gets darker here. Something about this specific place in the forest is most certainly different. The tapes don't seem to play anything back, but I'm increasingly certain that there is some form of life in the woods. Dr. Dumont's field notes conclude at the 28 September 1963 entry. 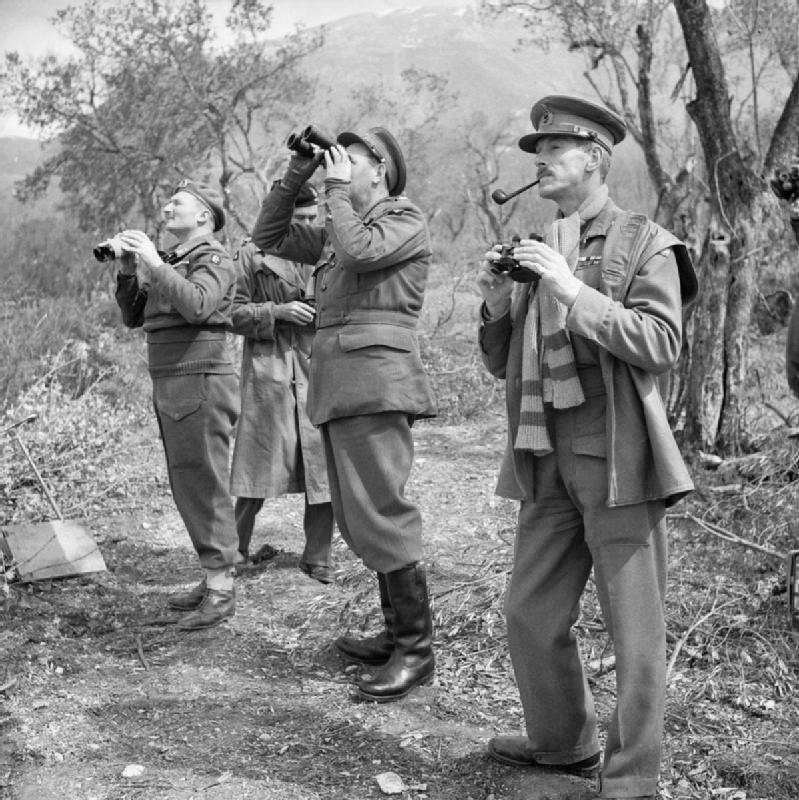 Dr. Dumont did not return as scheduled from his 28 September 1963 visit to Plane-3084, and was officially listed MIA until 28 September 1968, when he was recovered in a significantly agitated state from a police station in Lyons, France after attempting to clandestinely contact Foundation assets in the area. Dr. Dumont was unable to recall his whereabouts for the previous five year period in debriefings, and was granted a medical retirement several months later. Dorian Giroux, 5th Duke of Mechelen: Mechelen is known from his personal testimony to an undercover Foundation operative in the 1960s to have received a copy of SCP-3084 and viewed it. The then-Duke of Mechelen was at one time a prominent member of the Belgian royal family, however, he grew estranged from them in the 1930s. This is concurrent with the time period of his first and only visit to Plane-3084, which he described as a disturbing and unpleasant experience. At the time of his visit, Plane-3084 was populated by simulacra of the characters depicted in Seven Strangers at a Feast. These characters would re-enact the events of the film on a fixed cycle of time, completing a performance and then retiring to the country house for a period of several hours before repeating. Mechelen apparently witnessed two full performances from a fixed perspective inside the country house, noting that the characters would interact with him if engaged during portions of the film's narrative that were set outside of the house. In the account of Mechelen, these characters would not speak, but would engage non-verbally. He notes being warmly greeted by the Aristocrat and the General, and regarded with fear by the Young Man. On several occasions, the Aristocrat appeared to instruct the Boy to stay in Mechelen's vicinity, which Mechelen discouraged. When pressed, Mechelen claimed to not remember any interactions with the Guest. Hermann von Dietrich: Von Dietrich was primarily known as a substantial owner of Ruhrkohle AG, a large German mining company, and personally oversaw operations at the Delacroix Gold Complex in what is now the Central African Republic. Von Dietrich was also a major investor in Filmstudio Babelsberg, a significant organization in early German cinema. In a letter to Erich Pommer, an influential German film producer, Von Dietrich recounts what he describes as a dream following his viewing of a film delivered to his offices in Frankfurt. The contents of this "dream" are believed to be an account of a visit to Plane-3084. Von Dietrich describes a different set of interactions than Mechelen. Von Dietrich recounts a landscape "exactly as that of the peculiar film screened in my private theater the night prior," where all of the character of Seven Strangers at a Feast are arrayed inside the house, similar to Scene 67 of the film. The Guest is said to have addressed him directly, speaking in a loud, deep voice, repeatedly stating "Peter, kill and eat," while directing Von Dietrich to partake of the titular feast. "Each morsel that I ate was delectable, as though I had been famished and finally set to a meal after a long day's ride out of the jungle. And yet my gut recoiled at the foul knowledge of what I was eating. I could feel each individual bite swirling in my stomach, wishing to heave up the contents then and there on the table, even as I licked the grease from my lips and held out my plate for more." Von Dietrich describes scenes similar to this one as a "recurring dream" in subsequent correspondence. Records of Hermann von Dietrich become much more sparse following his divestment from Ruhrkohle AG in 1932, and he is believed to have perished in the opening years of World War II. Archibald Rayne and Amelia Holmwood: Archibald Rayne, a director of the London-based Shaw Brothers Export Bank, is confirmed via postal receipts of the time to have received a copy of Seven Strangers at a Feast. Unlike other known recipients, Rayne is believed to have been fascinated and intrigued by the film, watching it repeatedly and analyzing its contents in his private journal. In his repeated visits to Plane-3084, he describes experiences similar to those encountered by Duke Mechelen. 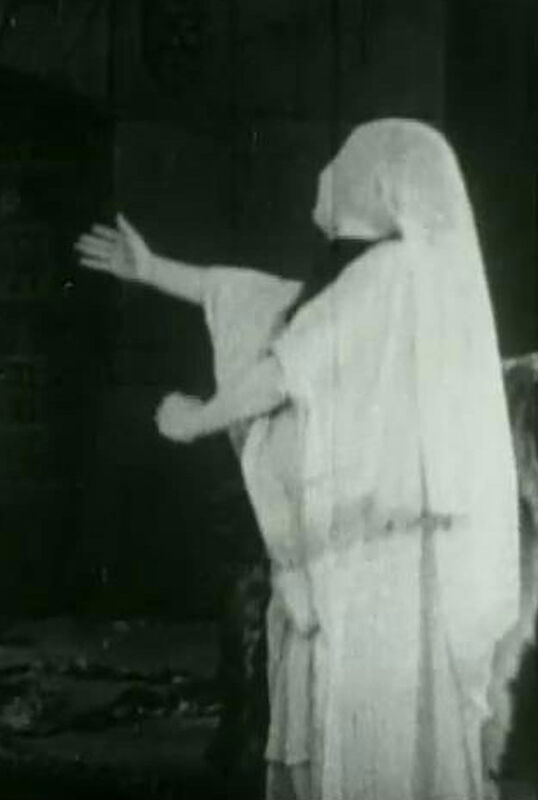 In 1947, Rayne showed the film to Amelia Holmwood, a fringe figure in the London Spiritualism community earlier in the century known primarily for her work in automatic photography. Holmwood began accompanying Rayne on visits to Plane-3084, and the pair studied the film and its associated phenomenon intensely. Eventually, both persons came to the conclusion that the film's primary theme was liberation, and that Plane-3084 represented a realm analogous to Christian concepts of Purgatory. Rayne's journal entries become increasingly abstruse after reaching this conclusion, couched heavily in terminology and concepts apparently borrowed from Liber AL vel Legis and other works associated with the Thelema movement. References to "reversing the course" appear frequently, and accounts of subsequent visits to Plane-3084 suggest that several characters of Seven Strangers at a Feast are now absent from the plane. Both Rayne and Holmwood appear to have disappeared sometime after February of 1950, with Rayne being declared legally dead in 1958 after a lengthy inquest into the disposition of his estate. At the conclusion of this review, no official records of Jacob Nkurunziza have been confirmed to exist. Based on thematic and stylistic examinations of several other works of anomalous art from the period, however, Nkurunziza is believed to be associated with other documented SCPs; The Clouds Burn Down (anomalous visual phenomenon, 1923), Four Dot Four Dash (unexplained telegraph signal, 1924), and The Final Parliament (manufactured mass delusional episode, Madrid, 1930). References to "Black Jakob" appear in correspondence between groups known to be associated with anomalous art in Western Europe between 1919-1928. These are suspected to refer to Jacob Nkurunziza. Cultural analysis of these artworks suggests that Jacob Nkurunziza was born and spent significant amounts of time in the Kingdom of Burundi. At some point in his life, Nkurunziza likely received a European-style university education. The extent to which his work appears to have been recognized in the larger artistic community consists primarily of negative reactions to several of his pieces in the Dadaist movement. Historical analysis of artistic subcultures and associated works have identified possible appearances by Nkurunziza in 1942, 1957, 1979, 1988-89, and 2014. Despite the apparent anachronism of these occurrences, Jacob Nkurunziza cannot be declared inactive at this time.